Thank you very much for the online FCM to SVG converter! 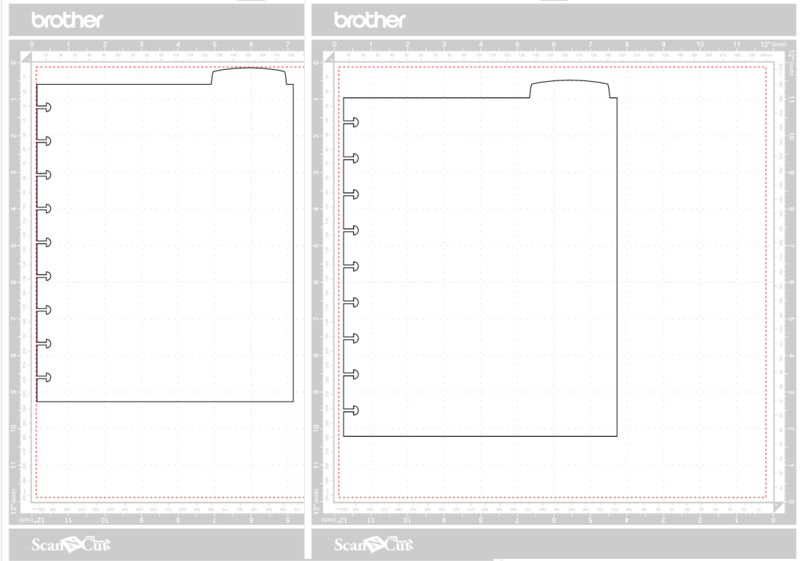 When we convert Brother Scan'n'Cut FCM files to SVG we have found that the SVG version is reduced in size compared to the original when we cut using the SVG. This can be shown when we "round trip" the SVG back in to Canvas. I attach a comparison of screen grabs from canvas showing the different sizes (please note that there is a different vertical offset on the mat, but they are different sizes). The orignal file, called Divider_3.fcm may still be on your server, but if not I can send you a copy. Were you aware of a problem, is there anything that can be done to fix it? The problem is that the SVG reader in ScanNCut Canvas is not implemented correctly according to the SVG specifications. There are also a number of others applications that do not read in SVG files at the correct size. When an SVG file is saved in Inkscape, it correctly imports the SVG file. They seem to believe that all files saved in Inkscape will be 90 DPI, which is not true, they can be saved in millimetres. <path id="A01" transform="matrix(1, 0, 0, 1, 178.866141732283, 54.9035433070866)"
<path id="A01" transform="matrix(1.06666669, 0, 0, 1.06666669, 178.866141732283, 54.9035433070866)"
From what you say I can understand why you have used 90dpi on your converter, but if the Scan'n'Cut, CSS, and now the latest version of Inkscape are all using 96dpi as some kind of defacto standard it might be time to consider changing, or putting in an option. Thank you for you work on this converter and making it available to the community! There is fix. By defining and using real world units for the height and width, and setting the viewBox to those values, it is the correct scale in 0.91, 0.92, ScanNCut Canvas, Make the Cut, Sure Cuts a Lot, Silhouette Studio, Cricut Design Space, and my own Cutter Controller. height="1000pt" width="1000pt" viewBox="0 0 1000 1000"
As from the 21 June 2017, a fix has been implemented. All the online converters create SVG files in Points and not Pixels. Hi Ian, is it possible to load the old Pixels files and save them in Pontis? With the latest version of Inkscape it may be possible to save an SVG in pixels to be saved in points. I've tried it with Inkscape version 0.48, and it will just save the SVG in pixels.